Moving during the holiday season means additional stress during an already hectic time of the year. No one wants to move during the holiday season but, sometimes, it is unavoidable. The holidays and moving can be physically and emotionally draining. Experiencing both these events simultaneously will take significant preparation and organization. Maintaining a routine may be difficult, but is necessary, especially if you have children. They will be excited about the upcoming holidays and nervous about moving. You may be wondering where to start or how to go about the process. The following tips will help you plan a successful holiday move. Weekends are hectic year around, as these are the days most people run their errands, have days off work or school and go out looking for entertainment. Add to this the madness of holiday shopping and you have an extra-long moving day on your hands. No matter where you are moving, if you plan to move on a weekday, you will save yourself a headache, at least by avoiding heavy traffic. Family obligations, parties, shopping and more already make the holiday season demanding. Add to this the stress of moving and you may be burnt out by the end of the process. High levels of stress cause your immune system to malfunction, making you more susceptible to illness. Stress takes a mental toll on you, too. Hiring a trustworthy and professional moving service can ensure your stress levels don’t elevate more than they usually do this time of the year. Sometimes the little things that a moving company can do for you will help you cope with the move better. 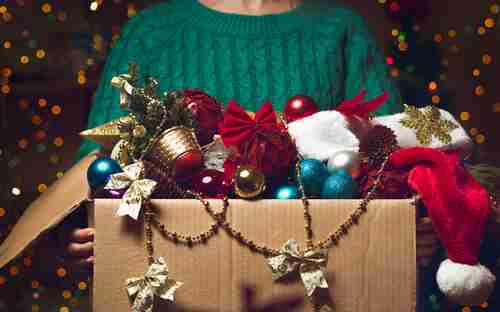 If you have no choice but to move during the holidays, a quality moving service can help. Many companies will pack and store your belongings for you. This is an extremely convenient service for those planning a holiday move. Remember to schedule your move several weeks to months in advance, too. Dates may conflict with holiday celebrations and, depending on the climate, may be impacted by inclement weather. This may seem like an easy task but can often be either challenging or expensive. If you plan to do any of the packing yourself, and most people have sentimental or valuable items they want to pack, you will need packing supplies. 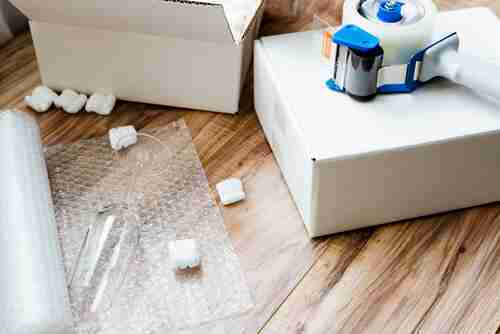 There are likely places in your area where you can buy boxes, packing material and tape. The moving company can also sell you packing materials. If you want to save some money, ask your friends and family for any left-over packing tape from a recent move. Go to local restaurants, box stores, grocery stores and liquor stores and ask if they have boxes to spare. Start packing anything you don’t regularly use now. Designate a room in the house to store all your materials and packed boxes. Take your time and don’t forget to label the boxes you pack yourself. The key here is not to procrastinate. Start packing away those handmade items or those childhood mementos you couldn’t bear to have something happen to. With a holiday move, you probably won’t have time to make those traditional cookies and other holiday goodies because of the move. However, there is no reason you cannot prepare some of those holiday recipes early and freeze them. Most baked goods can be frozen. You can even prepare a holiday meal in advance, as mashed potatoes, turkey gravy, cranberry sauce and casseroles can all be frozen. As if you are packing for a two-week vacation, pack a suitcase. Those who move often have one trick they use to make a move go smoother: They pack a suitcase early. This way, they don’t pack away something they need by mistake and, since it will probably be buried in one of the boxes in the moving truck, they won’t have to spend money buying something they already own. Pack a separate clear box with holiday essentials you cannot live without up until your move or soon after. Include indoor decorations, fine china or cutlery, tablecloths, gift wrap, tape, ribbons, ornaments, gifts and lighting. Keep this box set aside for easy access, and you can pack it last and unpack it when you arrive at your new destination. This box should also include holiday gifts. You should resist bringing out every decoration this year and instead opt for simplicity during the holidays. 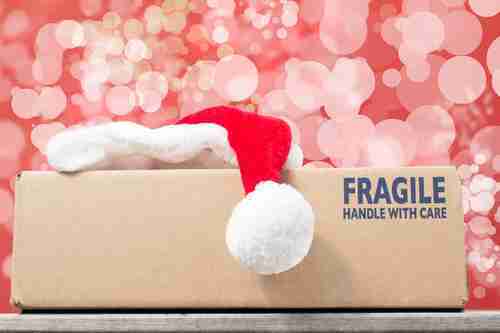 You are moving, after all, and, while you want to embrace the holidays, don’t add to your stress by having boxes of holiday decorations you must find space for in your car or spend a fortune shipping them to your new home by mail. Do you always host holiday dinners for your family and friends? This year may be a good one to take a hiatus – your friends and family will understand. Take this opportunity to go out somewhere you have never been or to an annual party you always miss. Ask if somebody else can host a dinner and offer to help in any way that you can. Once you arrive in your new home, try not to be in too much of a rush to unpack everything. Do what you can to make your house feel like a home for the holidays, but don’t overdo yourself. You can live out of your suitcase for a couple of weeks at least. Stick to your usual routine, if possible, and enjoy the holiday festivities. To help eliminate the stress of a move, whether it is across town, across the country or even an international move, do yourself the favor of hiring a professional. Packing and moving companies can assist you at any time of the year, but their assistance during the holiday season is especially appreciated.